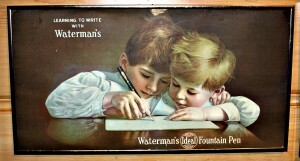 “Learning to Write With a Waterman” cardboard poster was displayed on trolley cars. 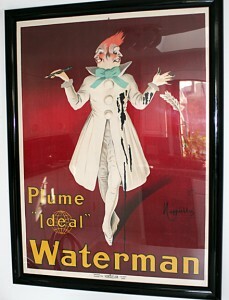 In 1926 the image was reproduced on tin for use by retailers in their stores and window displays. 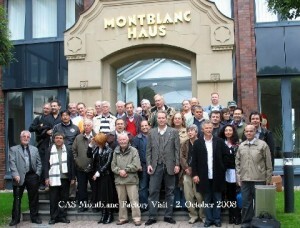 19″ x 13″. 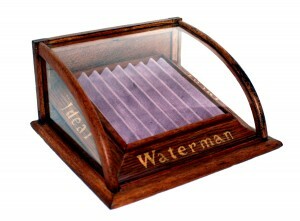 Here is a wonderful vintage Waterman countertop display the company provided to their dealers. It holds 8 pens. 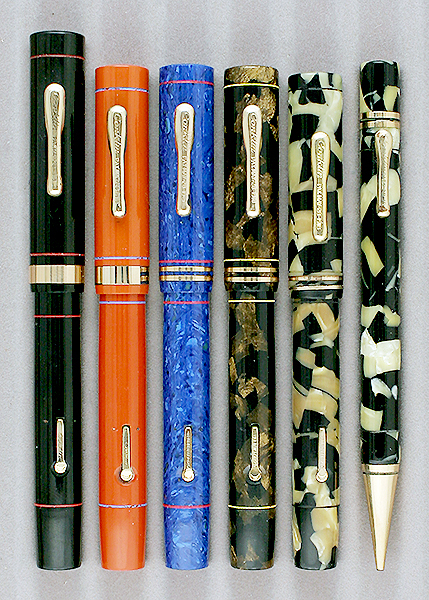 The theory was that pens displayed on the counter would be more likely to sell than pens under the counter, since they were in better view. 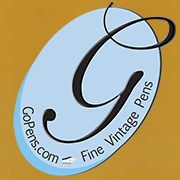 Welcome To The Gopens.com Blog!